It was one such Sunday in October that I wondered if there was any activity that would satisfy a craving for company and for solitude at the same time, an activity that would cut through a Sunday’s ennui without sacrificing its sense of peace. Dave Pell is the curator of my favorite newsletter, Next Draft. I decided to take his advice and watch my first live stream music concert. I had the good fortune of making this decision when the renowned Austin City Limits Music Festival was going on. My bedroom in Mexico has a panoramic view of Mazatlán’s coast from 12th-floor windows, providing an evolving backdrop for the experiment as the view changed from a crimson-streaked sunset to the city's glittery night skyline. Knowing that the concert was going on at that very moment in Texas made me feel connected to home (but without the sweat) while I switched tabs back and forth between the concert and work I was doing. Streaming live concerts is the best way to be introduced to new music. When I found myself weeping at a song (always a good sign) by an emerging girl band, Muna, I immediately bought their album, called "About You." Mexican courtship is a sweet thing to watch, usually involving the girl's mother dragging the couple around a lot on social calls. At about 11:30 a call came up from the lobby. A Mexican friend, her adult daughter, and her daughter's aspiring boyfriend were driving by. Would I like any company, they asked? The virtual interaction with the concert fans had perforated what was left of any anti-social mood. "Por supuesto," I told her. Soon, the four of us were huddled around my laptop watching the concert. Ingrid’s suitor, Eduardo, plays guitar and had a friend who was attending the famous Austin festival. We called his friend as a group, giving us a live feed from the actual event. We went through a prerequisite exercise of getting out cell phones to look up song lyrics and recalling other bands we liked. Watching a live stream of concerts like the Austin City Limits Music Festival or Coachella is a perfect pastime if you are one of those who feels like 25-year old trapped in a 50-year old body and don’t know quite what to do about it. Unlike Americans who tie music to a certain decade or generation, Mexicans don’t make distinctions, meaning Mexicans of any age might like what you like. When live-streaming first started, artists were worried that being able to watch a concert from the comfort of one's own home would take away the incentive to attend one. Studies by the music industry indicate live-streaming was been a positive influence on the concert business; that after people watch a live-stream concert they are more likely to attend the real thing. Red Bull collaborated on last summer’s Austin City Limits and also help put on Lollapalooza… I will be buying some Red Bull. Coachella is another great streaming opportunity. We watched a few of my favorite bands. like Red Hot Chili Peppers and another band I loved from the 90's called Live. Seeing how the musicians relate to the audience and perform on stage enriches the experience of listening to them later on regular radio. Encouraged by the experience, a few weeks later I watched the tribute concert to Chester Bennington, a lead singer for Linkin Park. Joining all the people in the audience who, like me, could sing every word to “In the End”’ made me realize how many in the audience had sung to that song in two part harmony with friends like I had. If you don't watch live-streamed concerts now, inequitably you should. You can't help but feel the surge of youthful energy that comes only from live music. Seeing performers you've heard but never seen before on stage helps you understand what's special about them whether or not their music is your favorite. Stream a few of the huge festivals in Brussels, Belgium. I’m not a techno music or D.J. fan and the crowd footage and staging of their 2017 D.J.- mixed dance concert Tomorrowland is still mesmerizing. Websites like Livelist have videos of old concerts, like an amazing segment from a Voodoo Concert where dozens of bands performed Nirvana's iconic “Smells Like Teen Spirit” at once on the floor of the arena. You can find performances from any era, not just contemporary music. Several university sites stream classical music concerts. Some sites are by paid subscription and probably well worth it. After a bit more obligatory making fun of my Spanish (I was trying the master the conjugation of the very-Mexican word for drinking, pistear, which Ingrid found hilarious), we decided to head out, a pasearnos, take a drive. My friend wanted to show me a lookout point over the city, a steep drive up a hill off the Malecon. The streets leading up to the view were lined with cars and groups of young Mexicans doing the same. The view of the outline of the lights along the Malecon against the darkness of the ocean was spectacular. As we drove back, we could hear the music playing out the windows of the dozens of bars and restaurants along the Malecon, the buildings almost bouncing up and down to the pounding beats from the open windows and patios. Upon my being dropped off, we agreed on a date for the next party where we could karaoke and Eduardo could show us what he could do on a guitar. I took the elevator up to unspool. It was a gratifying 3:15 in the morning. I love Mexico alone, with people, and everything in between. This site, LiveList will help you find concerts that are being live-streamed. An article on television options in Mexico for expats. This site streams classical music. Recently updated: The first days back in Mexico, full of delights and yes, Mexicans. Most recent: What you don’t know about taking Uber in Mexico. Kerry Baker is the author of two books. 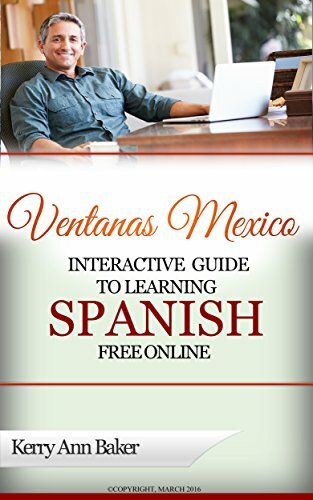 The Interactive Guide to Learning Spanish Free Online is a comprehensive curation of the best free online tools to learn Spanish, organized into lesson plans along with a few words on how learning Spanish as an adult is assessible. 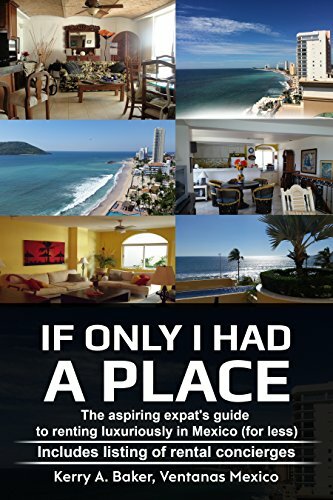 Renting in Mexico is different - with both risks and opportunities.The second book, If Only I Had a Place, is a book on how to rent luxuriously in Mexico, along with a listing of concierges in Mexico’s most popular expat destinations.